Have you ever seen layered papercuts, and wondered how they are done? 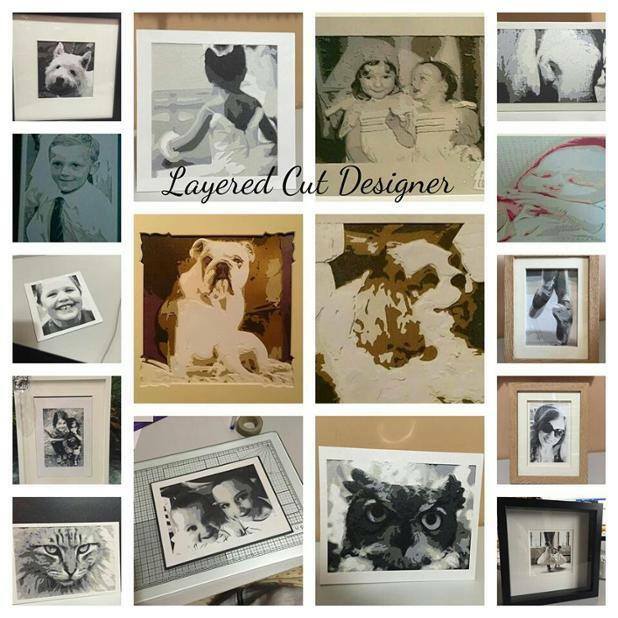 Here you have the 'Layered Cut Designer', a simple and easy to use software that enables you to upload your chosen photograph, and with the click of a few buttons, have easy, cuttable files, to create your own layered papercut. The software gives you the files required, in both the correct order for cutting, and ready for both hand cutting and machine cutting. Cut out the relevant areas for your layer and enjoy putting them together. The software separates your image in to layers, giving you the option of SVG, BMP, PNG or JPG as output, and also if you prefer your cutting files to be outlines or shadow. Full instructions included, plus support via the Facebook group 'Layered Cut Design By Bramble Crafts'.